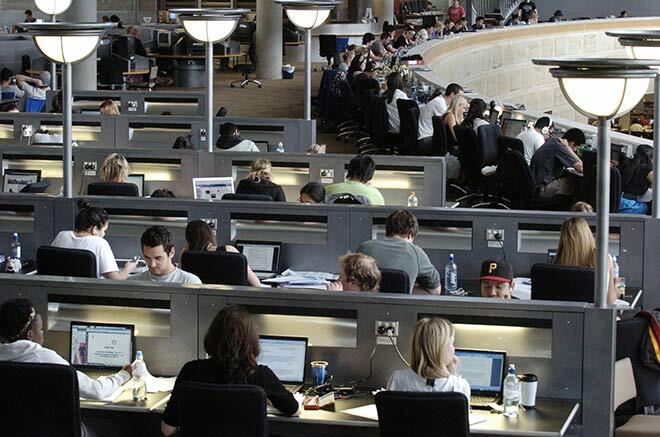 University of Otago students pack the Information Services building, previously known as the central library. The library's new name highlights the importance of digital resources and technology in modern libraries. There is hardly a book in sight.